Since “social media” hit the market, popular culture has become a major part of the average teenager’s daily life. 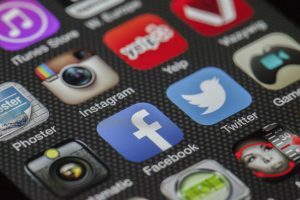 Web articles support the idea that social media has become a major contributor when it comes to assessing increased anxiety levels and fragile self-esteem of teenagers. According to ChildMind.org, teenagers are constantly engaging in cell-phone use throughout the day. Users are even “texting, sharing, trolling” and “scrolling” while studying or completing homework assignments. ChildMind.org states that teens are now spending more time engaging in cyber communications as opposed to sharing and experiencing in-person interactions with others. Relational aggression, or “the demand for power,” happens when teenagers feel the need to compete for “likes” online. For example, a teen might want to copy trends followed by popular Instagram models or comedians in order to receive the same amount of “likes” or attention as popular person. Teens may feel the need to copy others who are “internet famous” because they may already feel bad about themselves, or have low self-esteem, and want to be just as popular as the other person in order to become “happier” or more satisfied with themselves. This eventually leads to teens competing for attention, bullying one another online, and putting other people down so they can feel better about themselves. These factors, along with cyber bullying, contribute to the development of increased levels of anxiety in teens and adolescents. Many teens have even begun experiencing anxiety attacks for the first time. Speak directly, as opposed to speaking indirectly, to others and learn how to state beliefs and opinions without fearing or worrying about the response. Don’t be afraid to build friendships offline which can help build direct communication skills i.e. talking face-to-face with another person. Refrain from engaging in online disagreements and try to only post or leave comments that would be said just the same offline. While these are only a few possible solutions, there are many more ways that teens and adolescents can limit the amount of negativity experienced online, as well as offline. For more information on social media awareness, visit: ChildMind.org! What are your thoughts on cyber-communication? Do you have any thoughts about social media awareness? Next story Everything all in one place: Half of us!